There are several ways to measure the key performance indicator of call centres, one of them being call tracking that enables supervisors and managers at call centers to gauge the agents’ call handling process. Call tracking gives supervisors and managers all the actionable data by which they can make strategies to improve call campaigns and get information on the customer base. Listening to the live call will help managers and supervisors to get an idea of the efficiency and effectiveness of their customer service team and the strategies they can adopt to enhance customer delightedness as well as conversion rates. Hitherto, call centres that have overlooked the significance of call tracking are now amazed by the amount of information they have been foregoing after they started call tracking metrics. Moreover, customer service departments can use call tracking metrics to analyze superior ways to convert their customers into brand ambassadors. By listening to the live calls, supervisors can identify the areas of weakness of their agents and train them to perform better and increase conversions. Live call tracking can be beneficial for the productivity and businesses of call centres to surpass customers’ expectations in numerous ways. How call tracking in call centres can improve productivity and conversion? The call tracking software can help call centres to use the captured data to optimize the call campaigns and supporting strategies. The software also enables flexible scheduling, routing and call delivery to augment the number of inbound flow as well as maintain the call quality. According to a survey by Forrsights, over 50% of workers use two or more devices to get work done. With such a number, it is clear that enterprises deal with huge amounts of data. That’s why companies need to have a good strategy concerning data storage and backup. The need to access data seamlessly across all devices in a workplace calls for a reliable data storage option such as IAAS. This is a model that uses cloud computing to store and back up data. The provider also manages the networking and servers over the internet. With a third party handling your entire technology infrastructure, you can gain benefits in a number of ways. 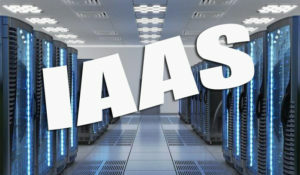 The following are a few benefits you can get from IAAS or Infrastructure as a Service. Strategic growth is likely to lag behind if you have a lot of work in your hands. Handing over the technology aspect of your business to an IAAS provider gives you one less thing to deal with. This way, you can direct your time and resources in driving the strategic growth of your business. To maximize profits, you need to have less operating expenses. When you opt for IAAS model, you eliminate the cost of managing the technology infrastructure. Your data being over the internet means that you do not have to buy servers. Also, your hardware and software are maintained by the IAAS providers, so you will need a few IT staff. With this model, you only pay when you are using it. This is advantageous compared to other services that require yearly commitments or upfront fees. As the month ends you are bombarded with utility bills and one of the many utility bills is electricity bill. Yes, sometime you get it monthly and sometimes you get once in two or three months, depending on the rules set by the authority. But mostly it is monthly across India. 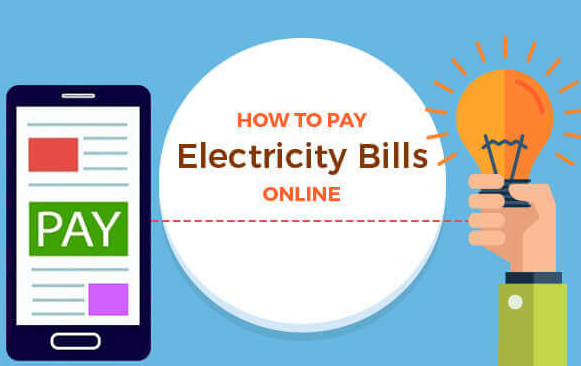 There were days when you had to personally visit the electricity department in the area meant for electricity bill payment collections to pay your bills personally. Long queues, crowded offices, and out of work systems, absent officers and there were many reasons that spoilt your day. As the last date of electricity bill payment came closer, the office meant for paying bills became more and more crowded. So, in any case, it used to take away half of your day in paying electricity bills. And by any chance if the office for electricity bill payment was not very close to your house then there may have been time when you had to take full day leave for electricity bill payments work. This was very awful and frustrating too. Besides, if you had forgotten to pay your bills or for some unavoidable reasons you could not pay your bills then you had to pay it along with late fee charges. This is the story which was very common before digital payment came into existence. Then came digital payment system when you were enabled to pay your bills by swapping your debit or credit cards in the swapping machines. But even in this process, you had to visit the electricity bill offices for payment. The only difference was you were not needed to carry cash along with you as you were now allowed to pay using your electronic bank cards that is credit and debits cards.